My wife and I picked up some top soil today for our new vegetable garden we’re planting. I could feel my brain relax as I shoveled dirt for hours, pulled weeds and got my hands dirty. I don’t know why it felt so good but it did. Maybe because I live so much of my life staring at screens that it was refreshing to just be offline for a change. A chance to breathe, think and just enjoy the moment. If you’re a busy person and you feel like you want to chill out then start a garden. 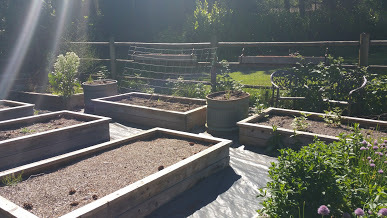 Build some raised beds, by some top soil and plant something. The “something” is not as important as the process. So anyway, I just wanted to share because it was such a good experience for me today.